There are many factors that can influence a decrease in sexual desire in women, including drug therapies (such as the Pill) and treatments for non-related conditions. It is essential that women be correctly diagnosed using both blood tests and clinical assessments that consider sexuality, depression and quality of life. A blood test will provide a snapshot view of the testosterone levels within the blood at the time the test was taken. Because your body cannot store testosterone a blood test can only be accurate for that moment. Testosterone levels naturally fluctuate throughout the day and increase slightly at the time of ovulation. Blood testing for testosterone should be done in the morning when levels are at their highest. Your FAI level is calculated from the levels of testosterone and SHBG in the blood. Normal FAI range for women is 2-7%. An FAI reading of less than 2 indicates testosterone deficiency. 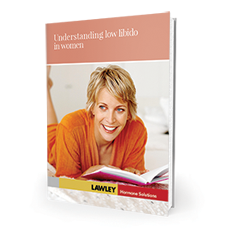 More information can be found in the downloadable information booklet The safe and effective use of testosterone in women . There are many forms of clinical assessment used by medical professionals. The majority consist of questionnaires used to assess areas such as sexuality, depression and quality of life. You can take our Female Sexual Function Self-Assessment test here to establish a baseline for discussion with your doctor. The test consists of 19 self-rated questions and will take approximately 5 minutes to complete. Your confidential results will be emailed directly to you with an explanation of what they mean. Information about treatment options for testosterone deficiency in women can be found on the next page.